No ordinary dozen red roses! 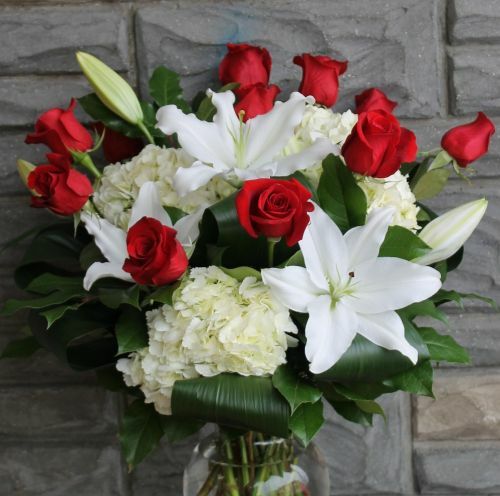 These roses are enhanced with hydrangea, white oriental lilies and fancy greens. Fragrant and exquisite.